Our first submitted tractor to show off comes from Stewart of Preston, Idaho! 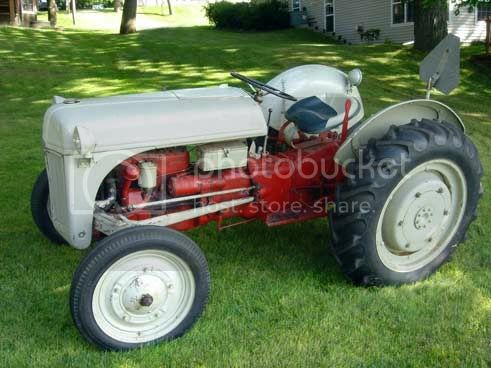 Up for sale is a beautiful 1951 Ford 8N Tractor fully restored and in excellent condition. New tires, new steering wheel, new spark plugs, new spark plug wires, new distributor cap, new fan belt, new hoses, new battery, new oil throughout, new paint, new gauges, including tachometer. Looks and runs like new. Twenty-one years after Henry Ford first revolutionized the farming tractor industry with the Fordson F, he did it again with the Ford 9N. 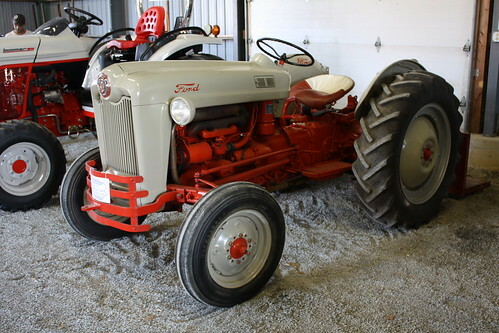 Produced from 1939 to 1942, the Ford 9N was the first tractor to be designed with the three-point hitching system. This new system, developed by Harry Ferguson, allowed tractors to easily be attached to implements, making farming quite easier. As for the power behind the 9N, the gasoline engines were produced by Ford in Dearborn, Michigan. The engines had four inline cylinders and were liquid cooled. Oil baths served as air cleaners. Eighty-four pounds of torque were produced at 1500 rpms. Ford celebrated its fiftieth anniversary in 1953, and marked that feat with the introduction of a completely new Ford NAA tractor. This compact tractor was built to replace the Ford N-Series tractors that had been released back in 1939. The 1953 NAA had a 50th Anniversary Golden Jubilee badge on the nose of its already stylish hood, signifying its importance. Because of this easily identifiable badge, the NAA was also known as the Golden Jubilee. The NAA was also released in 1954, although without the anniversary badge, and only had a change in gear ratio.